Royal Randwick’s Anzac Day meeting saw the victories of a pair of very smart 2YOs with the Anthony Cummings-trained Libertini, a daughter of I Am Invincible, scoring a stunning 3.5-length victory as the short-priced favourite in the Armistice Plate (1200m). Second on debut in the Gr3 Kindergarten Stakes (1100m) behind Exceed And Excel colt Bivouac, the Gerry Harvey-raced filly is a daughter of the Gr1 Doncaster Handicap winner Aloha (Encosta de Lago). Travelling wide throughout, jockey Kerrin McEvoy asked for an effort rounding the turn and the favourite responded with ease, powering away to victory. The talented filly will head towards the Scone carnival before a possible Brisbane campaign. 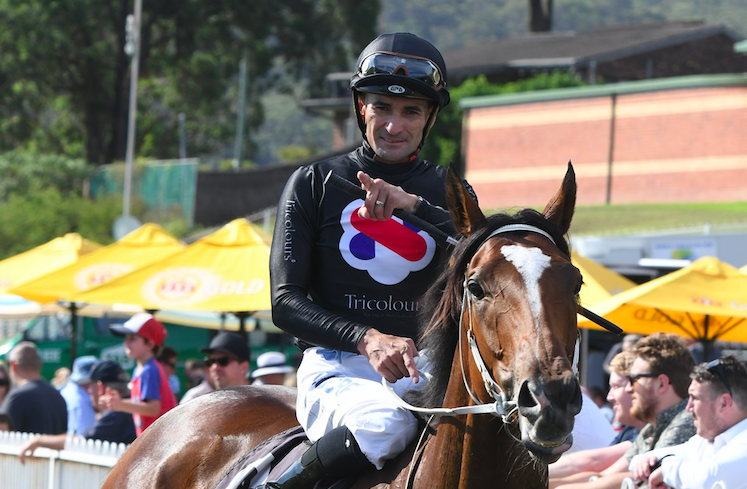 The following event, the Battle of Amiens Plate (1100m), saw the Chris Waller-trained Reloaded (Snitzel) charge late to win on debut by three parts of a length for jockey James McDonald. Raced by a selection of high-profile owners, Reloaded’s victory gave Waller back to back wins in this race, after his star colt The Autumn Sun kicked off his career in this race 12 months prior. Out of the dual Gr1 winner Hollow Bullet, the $350,000 Magic Millions graduate’s pedigree suggests he will be suited over further, and it would be no surprise to see the colt head towards the Gr1 JJ Atkins (1600m) at Brisbane during the Winter carnival, and aim to give Waller four wins in the final Gr1 of the season for the juveniles. Exciting Karaka graduate Rock On Wood (NZ) has continued his perfect 4YO season, recording his first black-type win in Thursday’s $50,000 Listed Anzac Mile (1600m) at Awapuni in New Zealand. Bought for $26,000 at the 2016 Festival Sale frommthe draft of Long Acres Stud, Rock On Wood showed huge promise as a 3YO with two wins and close fourths in the Gr1 Levin Classic (1600m) and Gr2 Waikato Guineas (2000m). He has gone to another level this season, kicking off with impressive victories at Hastings and Awapuni before stepping up to stakes level on Thursday. Trained by Leanne Elliot and ridden by her son Ryan, Rock On Wood dropped back towards the tail of the field before quickening in the straight to run down Gr1 winner Shadows Cast (NZ) (Per Incanto) in the final strides head. Rock On Wood has now had nine starts for five wins and $97,875 in prize-money – almost four times his purchase price. Runner-up Shadows Cast was passed in at the 2014 South Island Sale with a $10,000 reserve. He has won 10 of his 36 starts, headed by this year’s Gr1 Thorndon Mile (1600m) at Trentham, for $435,202 in prize-money. Successful in the Gr3 Hawkesbury Crown (1300m) 12 months ago where she defeated a class line up which included Ghisoni, Invincibella, Spright and Sedanzer, Joe Pride’s Pecans is aiming for back to back wins in the race after the 5YO daughter of Skilled was allocated top weight of 58kgs for this year’s race. Pride has done a fantastic job with the mare, recording three black-type wins, and further success this Saturday will only heighten appeal as she heads towards next week’s Inglis Chairman’s Sale as part of Newgate Farm’s draft. Consigned as Lot 19, Pecan’s is a half-sister to Lonhro’s Listed winner Secession, both out of the Listed-winning Procol Harum mare Walnut. “Pecans has been the best race mare in my stable for the past two seasons. She is tough, durable and extremely versatile, winning from 1200m-1600m. She is a three-time stakes-winning mare who was able to compete against the best of her generation,” stated Pride. Well in the market behind Bjorn Baker’s race favourite Irithea, jockey Corey Brown will jump Pecans away from barrier eight in the nine horse field. 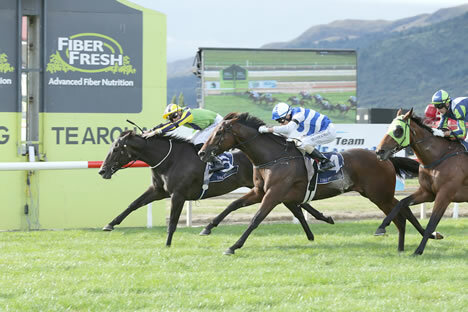 Savvy New Zealand mare Supera (Savabeel-Sopra Tutto, by Van Nistelrooy) will round off a what has been a meritorious campaign on Saturday in the Gr2 Travis Stakes (2000m) at the Cambridge Jockey Club's meeting at Te Rapa. Trained in partnership by Ken Kelso and husband and wife Bev and Mark Donoghue, the lightly-raced 4YO recorded two commanding wins in Rating 72 company at the start of the season, before adding a narrowly beaten 3rd in the Gr2 Cal Isuzu (1600m), a Gr3 victory in the Anniversary (1600m) at Trentham and a close 2nd in the Thoroughbred Breeders Gr1 (1600m) at Te Aroha at her last start to her increasingly promising record. Kelso told NZ Racing Desk "We're just lucky that Sir Peter [Vela, owner] has allowed us to take our time with her and she's kept improving right through, so hopefully there's better things to come next season…It hasn't always been easy as she can be head strong and she's had a few temperament issues which are improving." The daughter of Savabeel has drawn barrier 8 on Saturday and will be ridden by Michael Coleman, who galloped her on Tuesday and was reportedly "very happy with her work." The Inglis Chairman’s Sale catalogue has been finalised, with seven quality wildcard entries joining the world class collection of broodmares to be offered. Next Friday night’s Chairman’s Sale – which will see 60 select broodmares, stallion shares and breeding rights offered - headlines a big four days of breeding stock sales at Riverside, which also includes the Australian Broodmare and Weanling Sale. Fast Fleet, the dam of champion sprinter Santa Ana Lane, and Maastricht – the dam of multiple Gr1-placed 2YO Loving Gaby - headline the Chairman’s wildcard entries. The other wildcards are Sensibility (Gr1-placed Redoute’s Choice mare in foal to I Am Invincible), Acquired (dam of the Stakes-placed pair Acqume and Invictus Salute, in foal to Not A Single Doubt), Symi (sister to Gr1-winning 2YO Catchy), My Maggie (two-time winning daughter of I Am Invincible, in foal to Zoustar) and Luskintyre Lass (Group-placed daughter of Champion sire Snitzel). The main Chairman’s catalogue of 53 is filled with star mares including the likes of Gr1 Thousand Guineas winner Aloisia, dual Gr1 winner Srikandi in foal to American Pharoah, Gr2-winning and Gr1-placed sprinter Snitty Kitty, Champion 3YO Filly of her generation Norzita in foal to Snitzel, Pasadena Girl – the only Gr1-winning 2YO filly by Savabeel in foal to Sebring, Now Now – the dam of Gr2-winning, Gr1-placed millionaire Fiesta in foal to Pierro, and Dashoff, dam of multiple Group-winning, Gr1-placed race mare Spright, in foal to I Am Invincible among others. Inspections for the Chairman’s Sale mares begin at Riverside from this coming Tuesday, April 30. Former champion Australasian 3YO and five-time Gr1 winner Jimmy Choux (Thorn Park-Cierzo, by Centaine) has been sold to prominent Western Australian owner-breeder Alan MacAlister and will stand next season at Wayne and Tracy Rodwell's Rosalee Park Stud in Serpentine. MacAlister, who owns Redwood Park Stud and has a large broodmare band, also raced Gr1-winning mare Magnifisio and the recently retired Gr2-winning filly Whispering Brook. 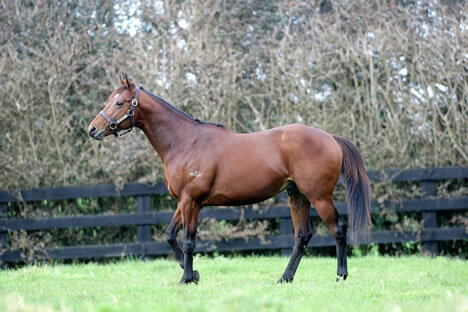 Jimmy Choux, who stood at Rich Hill Stud in Matamata, was New Zealand's leading first season sire in 2015-16 and has been a consistent sire of winners in Australia, New Zealand, Hong Kong and Singapore. This season he has been represented by New Zealand Gr1 performer Bostonian and Australian stakes winner Manolo Blahniq. "Jimmy Choux continues to sire winners on a regular basis and he also sires a lovely line of sales yearlings," Rich Hill Stud managing director John Thompson said. "We wish Alan and his team all the best with him and I'm sure he will be a welcome addition to the Western Australia breeding scene. I would also like to thank leading Perth Agent John Chalmers for his role in negotiating the sale." In news from the UK, Ascot and Official Partner Qipco have announced the launch of a digital content series which intends to showcase the initial three years of a thoroughbred's life - from birth to the track. The series, called Follow The Foals, will track the lives of eight foals born at the the home of the prestigious Qatar Racing Stallions, which is a subsidiary of Qipco, Tweenhills Farm. The already chosen foals include two Frankel colts, a Deep Impact filly and a Gallileo filly, alongside others sired by Dark Angel, Havana Gold, Churchill and Dubawi. David Redvers, Stud Manager at Tweenhills Farm said of the foals prospect, "I cannot say for sure that all these foals will race in the claret Qatar Racing silks in the future; some may go to the sales and some may not make the racecourse at all. They are living creatures, not machines, and that is what makes this sport so unique." The innovative series is the first of its kind, and will provide a fascinating insight into the intricacies of breeding and racing thoroughbreds. After their absence from this year's Inglis Australian Easter Yearling Sale, Shadwell Stud were active on day one of the Bloodstock South Africa National Yearling Sale, going to an all-time South African record high of R9 million to purchase Wilgerbosdrift's stunning colt by Maine Chance Farm's Champion Sire Silvano. Sold as Lot 184, the colt who was knocked down to Mike de Kock on behalf of his owners has already been named Masaki and is a son of the Gr3-winning Fort Wood mare Quickwood, whose four winners to date include the record-breaking colt's full sister Nightingale, a winner of four races highlighted by victory in the Gr1 Klawervlei Majorca Stakes. 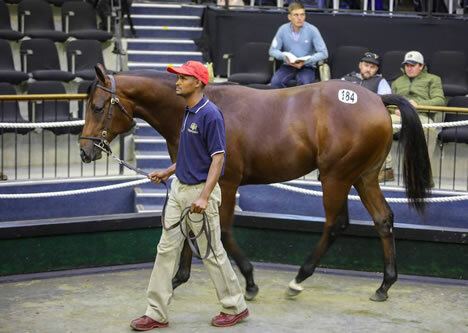 De Kock also secured the second highest lot of the sale on behalf of Shadwell Stud, Varsfontein's Captain Al colt Vasco Da Gama. Sold for R4.4 million the colt, who is a full-brother to the dual Gr3 winner Captain Splendid, is out the Listed winner Justhewayyouare, herself a half-sister to exciting young sire Master Of My Fate. The top priced filly of on day one went to Drakenstein Stud's Lot 98, Kim Soo. Sold to Form Bloodstock for R4.3 million, the daughter of Ridgemont Highlands deceased Champion Sire Dynasty is out of Happy Archer, the Australian-bred, South African raced Gr1-winning daughter of Dubawi. Three international Gr1 events in Hong Kong on Sunday are the pointy end of another weekend that boasts a plethora of black-type races. 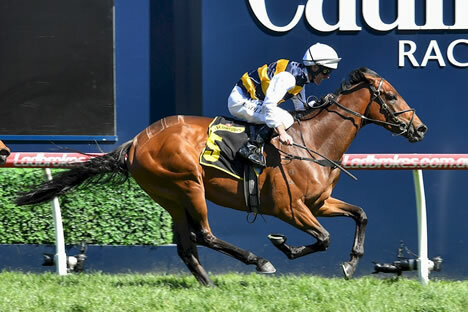 While, officially, there are 12 Group and Listed features in Australia and New Zealand, there will also be a strong focus by racing fans on Caulfield where the inaugural running of The Showdown for 2YOs heads the lucrative VOBIS raceday boasting $2.5 million in purses. Whilst every effort is made to ensure information and the below race times (in Australian Eastern Time order) are accurate, please consult official race cards if certainty is required.